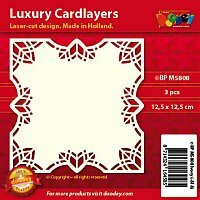 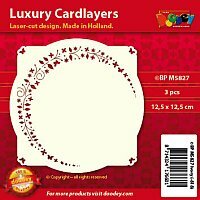 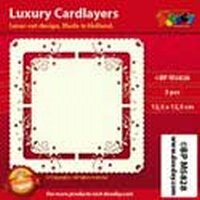 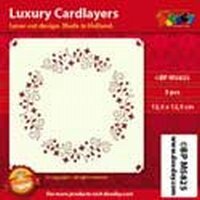 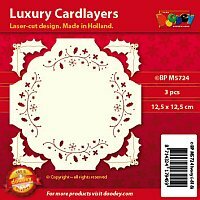 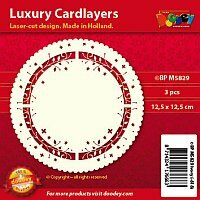 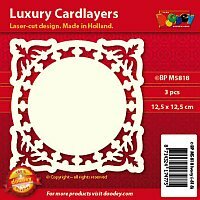 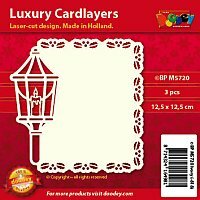 These cardlayers contain very fine details to give your card an extra dimension. 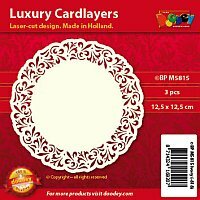 Place it on top of your main card and add more embellishments. 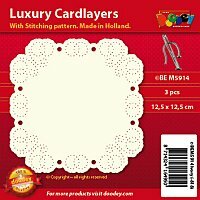 You can also use them as a mat on your scrapbooking pages. 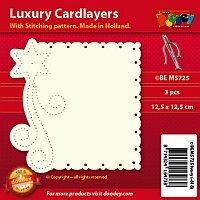 Each pack contains three similar cardlayers.